Fans were cool with the part about the Ninja Turtles being edgy and funny, less cool with the part about them being aliens. In the original origin story, a mysterious green ooze is responsible for the Ninja Turtles' existence. To alter the origin story so that the turtles are really just turtle-like extraterrestrials rather than ooze-creatures was nothing short of blasphemy, some felt. After Michael Bay gave the aforementioned interview, TMNT co-creator Kevin Eastman confirmed that the Turtles in the reboot have "alien origins" and that they are "from outer space", which helped intensify the backlash. In subsequent interviews, however, Michael Bay backtracked and said that the Ninja Turtles would not be aliens after all. "There was that quote saying that we’re making [the Ninja Turtles as] aliens. We’re not. It’s the ooze!" he said. 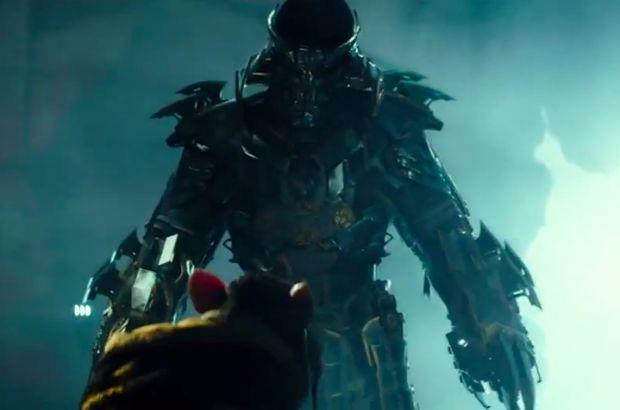 In the new trailer, the question of whether or not the Turtles are aliens is brought up, and all of the fans who spent the last two years complaining should be very pleased with how it's answered. "So they're aliens?" asks Will Arnett's character at the end. "No, that's stupid," replies Megan Fox's April O'Neil. "They're turtles." "Is there anything else we should know about them?" asks Whoopi Goldberg.